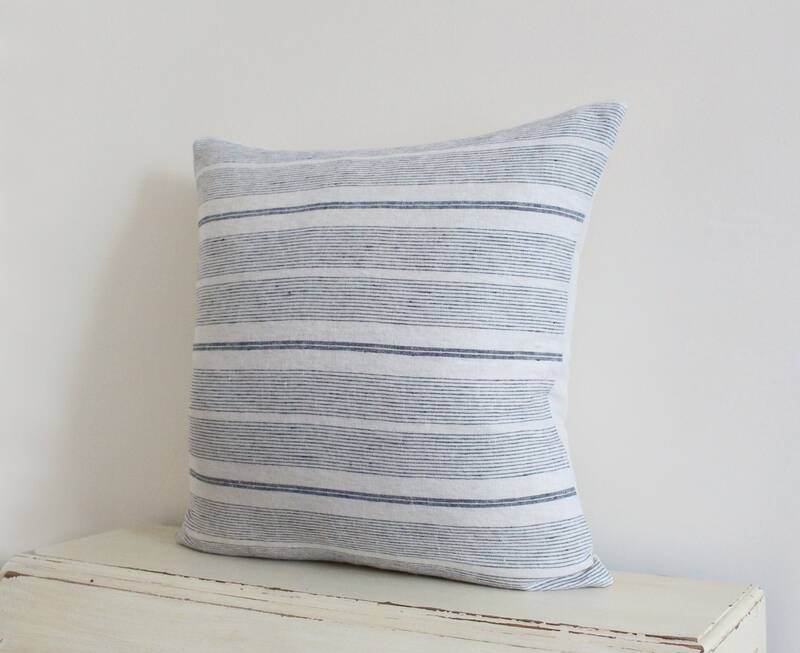 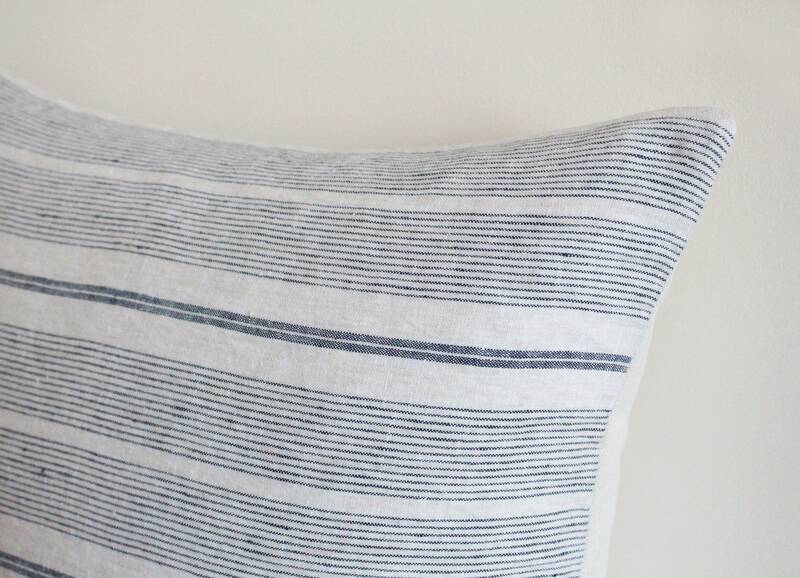 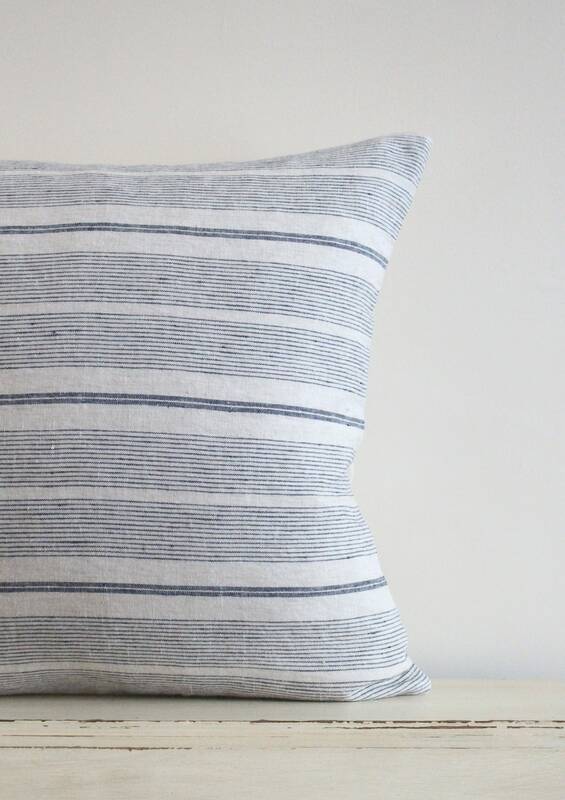 Grey blue stripe 100% linen pillow / cushion cover 20" x 20"
A beautiful classic stripe cushion cover with blue grey lines on a soft oatmeal coloured linen. 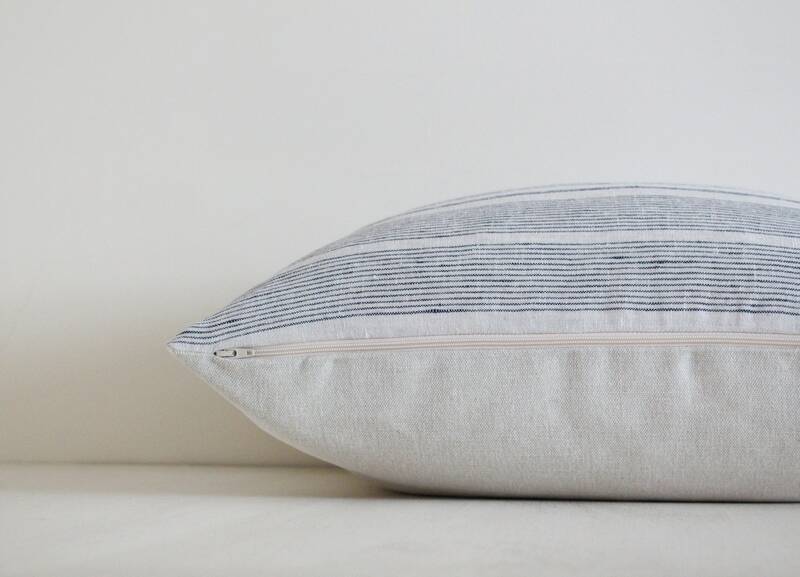 The back is plain cream 55% linen 45% cotton and the cushion closes with a zip at the bottom. 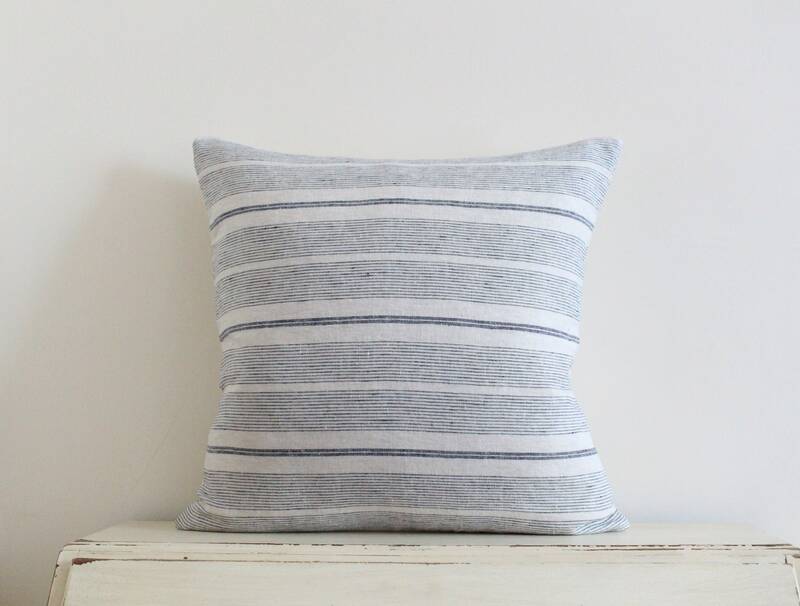 For larger quantities or custom sizes please message for availability.